The Florida Federation of Garden Clubs, the National Garden Clubs, Inc., and the Deep South Region are proud to sponsor a variety of youth programs and scholarships. Awarded to Florida students attending any accredited college or university within the U.S.
Two applications accepted from Florida. ~ 35 awarded yearly throughout the U.S.
To qualify for the scholarships above, the applicant must be a Florida resident, a citizen of the United States, and have a grade point average of 3.0 or higher. The Applicant must study agriculture, biology, botany, city planning, conservation, ecology, forestry, horticulture, landscape/architecture design, or related fields. Sales of the Florida Flower Arrangement Calendar benefit the general Scholarship Fund. Contact Helen Purvis for general scholarship information or for Scholarship Endowment contact Jana Walling and see our Donate page for more information regarding levels of contribution. Meeting the FFGC mission statement, “…instilling in our youth the love of gardening and the respect and protection of the environment.”, is done through Junior Gardeners, either as a single Youth Activity or as a Junior Garden Club. Junior Garden Clubs consist of 5 or more youth, Pre K-6th grade, which meet 5 or more times a year. Youth Activity is any other program or programs that involve youth and does not meet the Junior Gardener Club requirements. Passing on our love of gardening, design and all things related to our environment is a way of ensuring the continuation of our passions and the love of our world. The wonder and joy of this can be seen in the eyes of our youth. Several resources are available to garden clubs to aid in conducting youth programs. A complete group of lesson plans that are very detailed or serve as a guide for programs. Visual aids, Hands-on Activities, master copy of Learning Reinforcement materials as well as the detailed Step-By-Step Instructions are included. 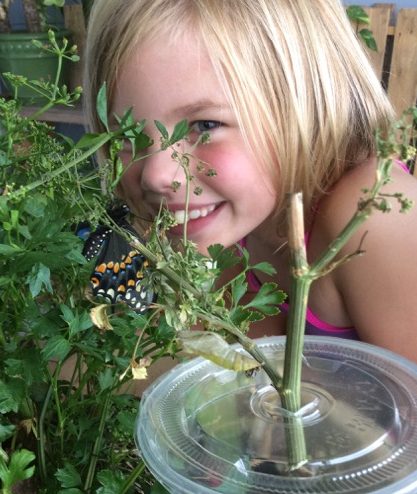 All instructions and materials needed for a Butterfly or Amphibian program for one class. The program and hands-on materials are age appropriate. District Junior Gardener Chairman – Each FFGC District has a District Junior Gardener Chairman. They are a resource to garden clubs for information and ideas concerning youth activities. Camp registration and camper fees for DESIGNATED campers (named campers) should be mailed directly to the WYC Registrar. Building and Maintenance donations should be mailed directly to Sue Angle, WYC Building & Maintenance Chairman. Pays Wekiva campership but not canteen fees. Student must be sponsored by a garden club or circle. Completed application must be received between January 1 and March 1.